Doncaster Rovers vs Bristol Rovers predictions and betting tips as they meet in League One on Tuesday. Will the hosts be able to boost their play-off bid with a win? Read on for our preview of the match and all our free betting tips below. With the end of the season drawing ever closer, time is quickly running out for teams to put enough points on the board in order for them to accomplish their goals. 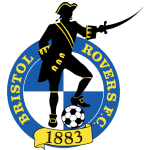 This Wednesday night sees an out of form Doncaster Rovers look to reignite their push for the end of season play-offs when they face off against a Bristol Rovers side who have improved of late and are now looking like they are strong enough to stay in the division. 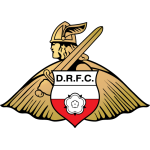 Doncaster Rovers go into this Tuesday’s clash knowing that they will have to end their poor form as soon as possible if they are going to have any chance of qualifying for the end of season play-offs. The hosts have now failed to win any of their previous seven matches and now find themselves a point outside of the top seven, although a win in their game in hand this Tuesday will take them back into the play-off places. A major part of their recent troubles is their inability to find the back of the net and they go into this match having scored just three times in their previous eight matches. Making the trip to the Keepmoat Stadium is a Bristol Rovers side who have improved their form of late and have dragged themselves away from the battle to stay in the division. The race for survival is a very close one in League One, however, and although they are up to 15th in the league, they only have a three point lead over the side who is currently occupying 20th place. Like the form shown by their hosts of late, Rovers have struggled to find the back of the net and the 39 goals they have scored this season is the second lowest return in the division. It is a key clash in League One this Tuesday with repercussions at both ends of the table, and although the hosts are the better side, their recent form suggests that they may struggle. Given the lack of recent goals Doncaster have managed and the fact their visitors are one of the lowest scorers in the division, we think that backing there to be less than 2.5 goals scored represents the most sense in this fixture. Doncaster have failed to win in their last seven matches. Doncaster have been undefeated in their last 10 home matches. 32% of Doncaster’s conceded goals occurred after the 75th minute. Bristol Rovers have been undefeated in their last eight away matches. Bristol Rovers have scored in each of their last five away matches.